I am a big fan of Laura Ingalls Wilder's books. I have the complete set, plus a few extra biographies on her and her family. If I ever win the lottery, I'm heading down to the states to tour the places she lived. 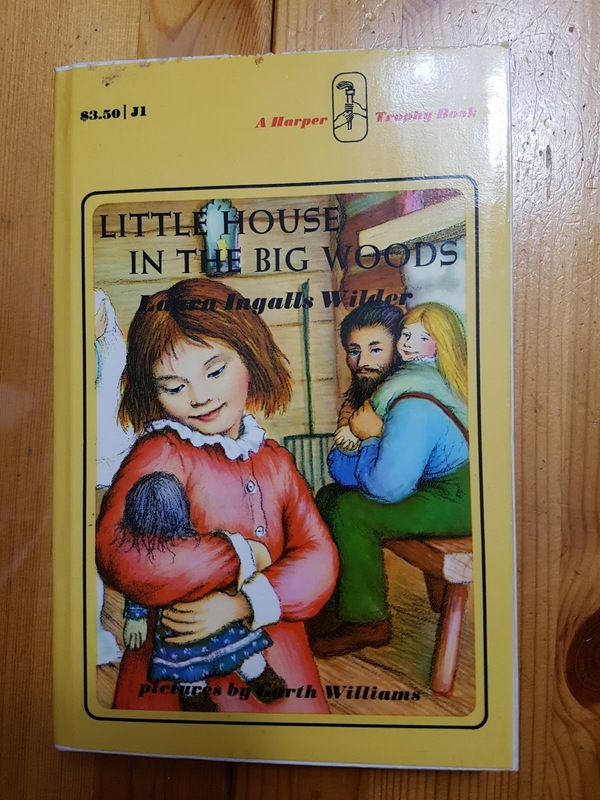 I read the books to The Boy - although he was too young to remember them - and now The Girl and I have just finished reading LHBW and I was so, so happy to start reading the series again. I know it's a cliche and sexist, but I'm happy to have a daughter who will hopefully like the books and I can pass down my set to her when she's older. LHBW is one of my favorites in the series because there is so much detail of their every day life - Ma making cheese and how meat was preserved for storage. The long days of her parents and the excitement of seeing family that lived elsewhere. The angst of trying to be a good girl when you have an annoying older sister. Such a lovely book.